The above words can be used to describe one of France’s most-revered house and electronic music DJ’s Claude Monnet. From his inception into music at the tender young age of 16, where he learnt how to spin wax at landmark clubs such as Le Queen, Le Palace and Les Bains Douches, to currently touring the world from London to Singapore and beyond, Claude’s name has become synonymous with deep grooves and blissful beats – it’s all given an extra special, smooth French touch, keeping Claude’s trademark style firmly in tact. His sober attitude and uncompromising love of music have allowed him to be recognized as one of the world’s best DJ producers – this recognition propelled him into some of the largest electronic music events such as Ibiza’s “French Revolution” with Daft Punk and Cassius in 1998 and the co-production of a 1998 Eiffel tower show with Jean-Michel Jarre in front of more than one million people (and subsequent Jarre’s “Odyssey Through 02” album). 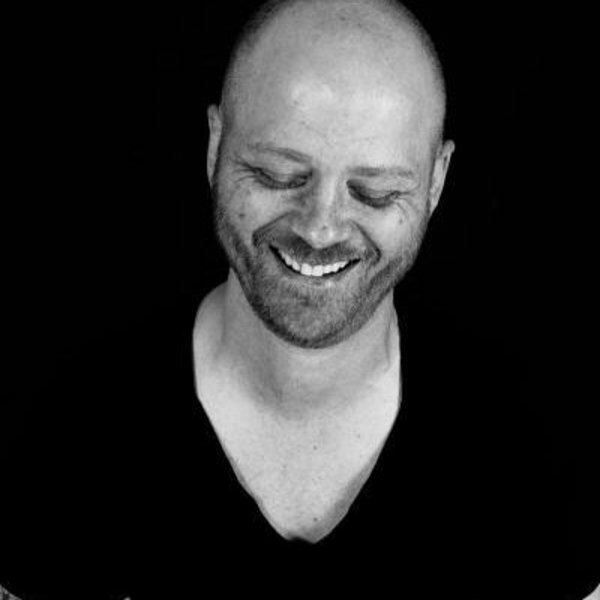 Nowadays, when he’s not travelling the world, dazzling the super cool crowd of The Rex in Paris, or caressing the crowds of Pacha and Amnesia in Ibiza, Claude keeps busy as a producer and record label boss. A man with a keen and clear vision, Claude set up labels SSOH and Analog, both focusing on different strands within the vast world of electronic music. Where Analog concentrates on Claude’s own masterful production skills as he weaves dreamy big room house, SSOH heads further into the underground, championing and supporting artists who are breaking entities and looking for a lift into the scene they so adore. Previous Frenchmen who have felt the golden Claude touch have been Parisian disco mainstay Dimitri From Paris, DJ Gregory, Llorca, Franck Roger, Rocco, David Duriez and Laurent Garnier. They are of course in the best hands when they approach the Godfather of the Parisian dance scene – he did of course discover the ever-popular popstar/producer Martin Solveig. Hell, Claude’s son even starred in the video for Martin’s smash hit single ‘C’est la vie’. Claude’s music finds its roots heavily entrenched within a number of musical disciplines, each bleeding, melding and growing into one another. Detailed but eclectic, Claude’s music exploits the musical timbres and conventions of house, soul, disco and funk, extracting the best bits and mixing them with Latin and African beats, infused by a warm energy akin to Detroit Techno. Keeping its identity firmly in the underground, whilst simultaneously experimenting with the hooks and pop conventions of more commercial Dance music, the beauty of Claude’s sound is it’s ability to sit comfortably between the underground and over-ground scenes – able to make each strand to come together and share inspiration, whilst he confidently forges his own unique sound and image somewhere between the two. A skill he has become an expert at, with over 20 years in the game, and his first production coming out in 1995, Claude’s integrity and ear for music are second to none. 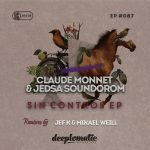 Creating special events for international DJs such as Not2bad, Claude Monnet’s passion always leads him to groundbreaking projects such as Back to Fundamentals, a mix of electronic music and urban art. 2010 and beyond is certainly no different – with a new initiative about to begin with the B2F project, keep your eyes peeled for a succession of EP releases from the stable, including a popular monthly podcast series, each month taking the listener through a delectable journey through house music and disco-tinged funk. Old and New, smooth and heavy and always on point, with a huge core fan base and a large, power-sharing focus of interactivity through street art competitions and initiatives, Claude’s B2F podcasts have become a benchmark for quality in the global scene. And so…with projects planned throughout 2010 and into 2011, two high quality and prolific labels, plus a third label / podcast / creative concept all set to gain even more pace, we invite you to dive in and discover as Claude extends the reach of his warm, thoughtfully crafted beats and uniquely creative approach on modern music. Claude Monnet. 20 years in the making…and still going strong.